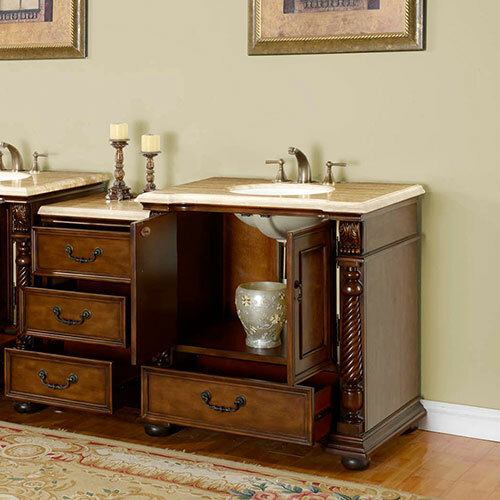 With its classic design, the 36" to 56.75" Kostas Single Vanity is perfect for renovating an old bathroom that needs a touchup in style. 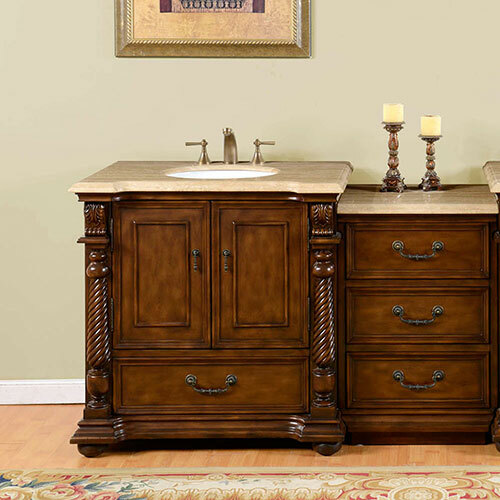 Featuring a Walnut finished cabinet, this vanity offers a double-door cabinet and a single drawer of storage space, that can further be enhanced by its optional drawer bank with three additional drawers. 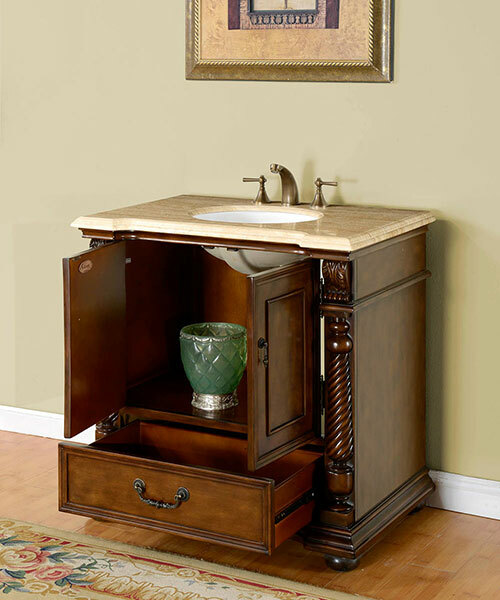 Each drawer front and door is adorned with Antique Brass hardware and full-extension ball-bearing drawer glides. 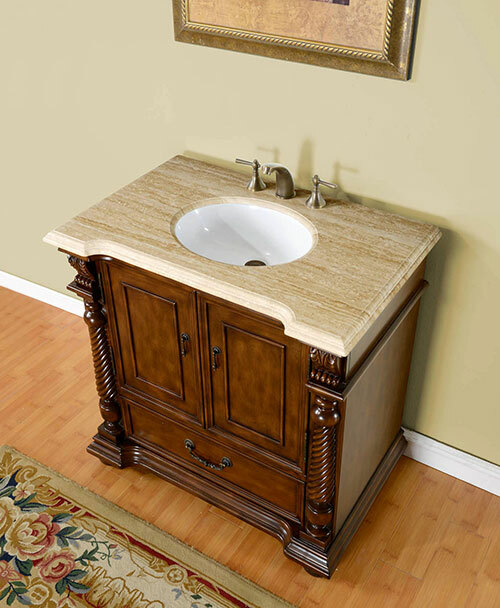 The top is made from Roman Vein-Cut Travertine and matched with an oval white ceramic undermount sink. To make installing the Kostas into your bathroom a simple process, three faucet holes in a standard 8" spread has been pre-drilled into the top and a large cutout in the back has been made. Faucets are not included.